Apartamento situado en el corazón de la Ciudad Eterna. Encontrarás, a la vuelta de la esquina, el famoso Panteón y de la Piazza Navona, siguiendo recto. 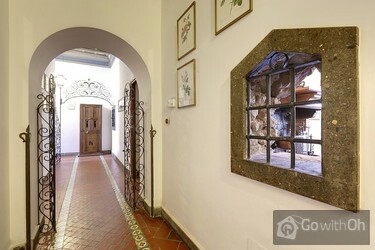 El apartamento tiene hermosos detalles en hierro forjado, elegantes techos decorados y muebles antiguos que harán de su estancia un momento inolvidable. Desde aquí no será necesario el transporte público para moverse por el centro de la ciudad. En el cercano Largo di Torre Argentina se encuentran muchas líneas de autobús que te llevarán hasta la estación de Termini, donde se puede coger las dos líneas de metro que pasan por la ciudad, o el tren al aeropuerto. 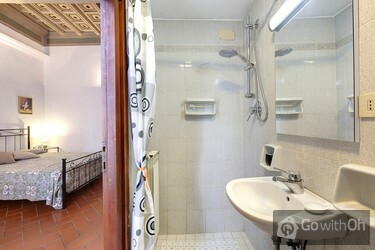 Dos dormitorios: uno doble con baño en suite y un dormitorio doble con dos camas individuales. Dos cuartos de baño con ducha y otro con bidé. Cuna disponible bajo petición solamente. Se aplicará un impuesto de 3.50  por persona por día para un máximo de diez días. Los niños de hasta diez años están exentos del pago. 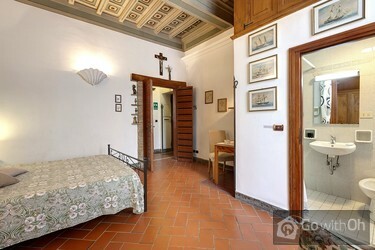 This was a terrific apartment. We visited Rome with our 3 adult children, and this was wonderful. 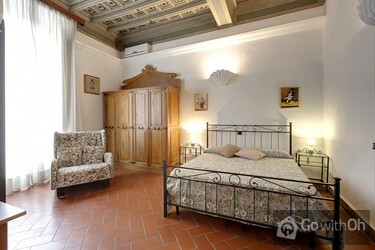 The location was the BEST, just around the corner from the Pantheon and walking distance to many great sites. Great restaurants and cafes just below. Only negatives were the bathrooms (2) had faulty... plumbing (one toilet didn't work, and water pressure eventually completely stopped to either bathroom including showers) and it is on the 3rd floor with no elevator. 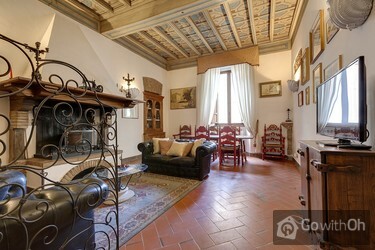 But the owner/property manager was very responsive and helpful, and the apartment was clean and beautifully decorated. Prompt responses to email communications. Very responsive to water issues, although unable to fix. It was very helpful that A (who met us at the apartment and returned when we had water problems) spoke English, so we were able to communicate well. He was very nice, as was K.
Dear customer, we appreciate and value your comments. 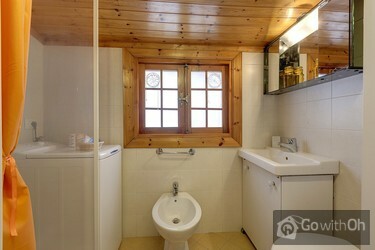 The owner confirms that the bathrooms have been renovated. He also confirmed that the building doesnt have a lift, however that its easy to climb the stairs due to their comfortable design. 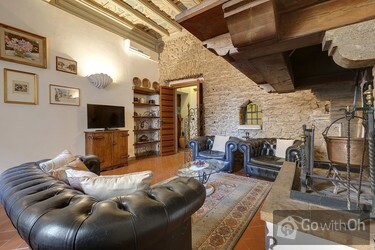 Location FANTASTIC, in same block as Pantheon. Easy to find your way home. The pedestrian street is all shops & restaurants, lined with outdoor dining options. 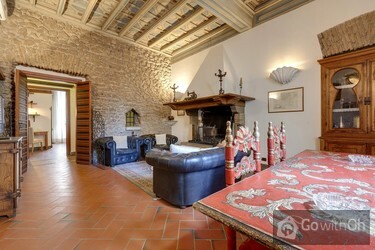 The living room & one bedroom is very spacious. We planned to cook breakfasts & dinners for 4, & do laundry, so we had chosen this apt. ...based on the description. 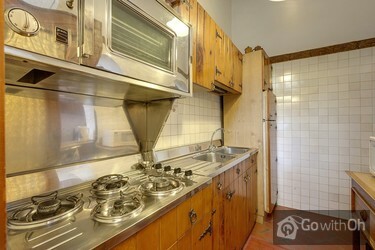 The kitchen is the opposite from the listing. It's VERY tiny, with NO working oven, broiler or toaster. 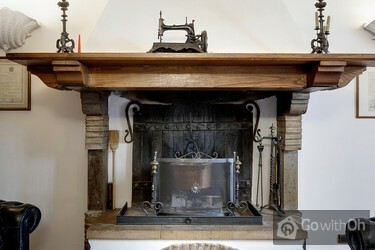 The stove burners work, but bring long matches or handled lighter (none provided) to light it. The washer spin cycle does not work & no cloth pins or rack to hang laundry. 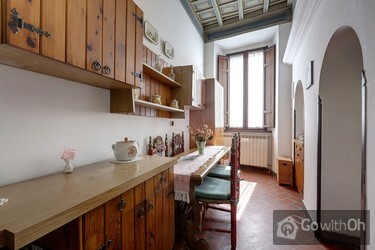 If you don't need to cook or a washer, this is a great apt. Kitchen & washing machine was not in working order. We really only had a refrigerator & cook top. There was no info. Booklet available. We depend on that on how to operate anything (wash, oven) or friendly suggestions of the nearest grocery, sites etc. we contacted the manager thinking we needed some instruction for stove & washer & he told us those items were broken! Perhaps some TLC e.g. the main tv cable was broken.An info. book would be useful. Manager met us, & receptive to our early arrival. Dear customer, we appreciate your feedback. The owner confirms that all appliances have been replaced with new ones, except the washing machine which has been repaired. 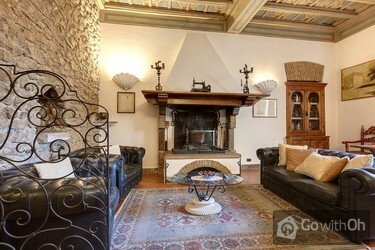 We had a very plesant stay here, lovely apartment with a great location, it was perfect for what we wanted it for. Location is excellent. 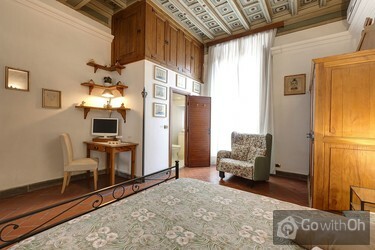 Accommodations comfortable with large rooms. Air conditioning was a plus! 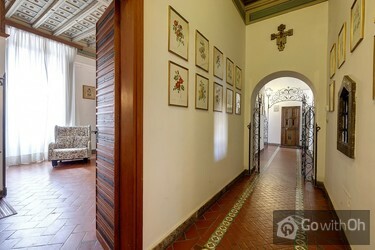 No alcanzan las palabras para describir lo bien que estuvo nuestra visita a Roma, y la mayor parte de este exito fue por el departamento de Via dei Pastini. La mejor ubicacion, sin dudas, a metros caminando de las atracciones mas increibles y hermosas de Esta ciudad. 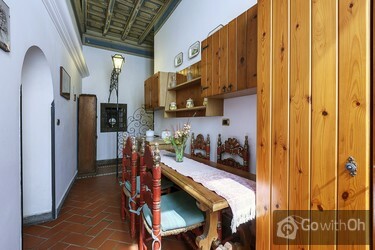 El apartamento estaba muy limpio... y ordenado, tenia todo lo necesario para disfrutar las vacaciones sin problemas, los ambientes amplios y bien decorados, nos sentimos como viviendo en una antigua villa romana con todos las comodidades de este tiempo :wi fi, lavadora de ropas, microwave, freezer, dos baños completo, LCD etc etc D nos recibió puntualmente y nos atendió con mucha amabilidad, y tambien nos asistió en todo lo que precisamos para una muy buena estadia. Estamos felices de haber elegido este apartamento!!! 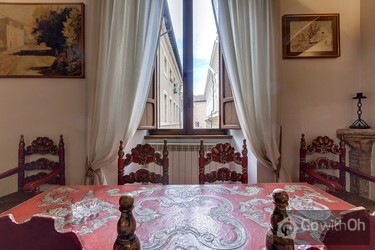 Perfect central location just around the corner from the Pantheon, with great shops and restaurants nearby, not to mention the ease of access to all the historic sights Rome provides. Lift access to a very large 2 bedroom apartment, fully equipped with all you need for a relaxing holiday - highly recommended!! 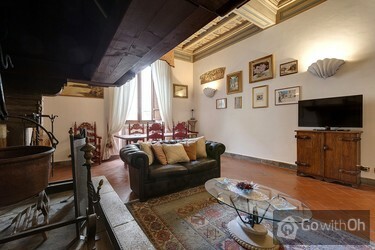 Excellent classic Italian apartment with loads of space to unwind after a great day seeing Rome. Best location as well. Managers very helpful regarding the apartment and the area. Definitely stay there again.